Here is a quick Sneak Peek at a wedding I’m waaaay overdue in blogging about! 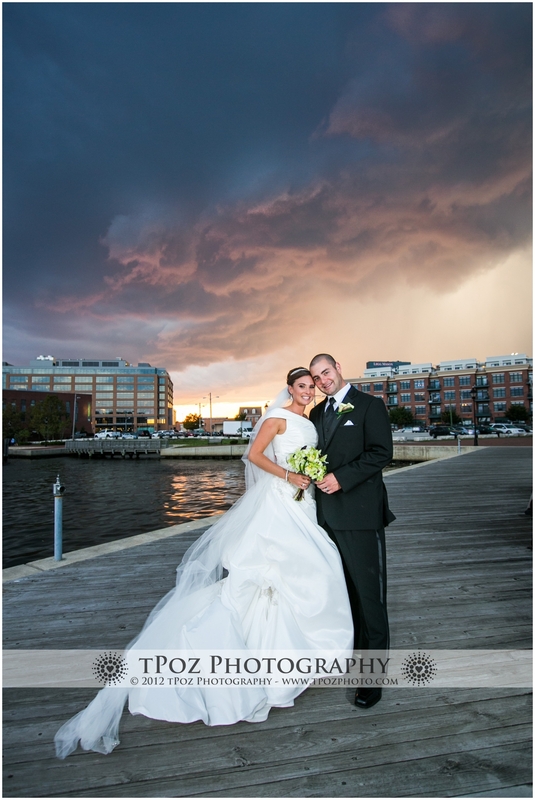 As you can see below, Mother Nature intended to be wedding crasher, but she was ushered out just as quickly as she came! Kelli+Mike’s wedding ceremony at the Bond Street Wharf, and wedding reception at the Pier 5 Hotel in Baltimore was stunning, and I can’t wait to share it! Whoa!! Crazy awesome sky! Beautiful shot Teri. I love it when bad weather works out this great! 🙂 Beautiful shot! Gorgeous! I see so many poorly lit photos in situations with inclement weather, but you lit this perfectly. No ugly shadows on their faces! Beautiful work! It is an Amazing place for clicking a photograph. Beautiful couple and background of photograph is making this photograph more extra ordinary. Sometimes Bad weather can produce awesome photographs like this. Did this set ever get posted?